Like any true craft, Coaching is one that is honed over time. It takes a lot of different qualities to be a great coach. Not just a good eye, or good technical knowledge, or good people skills, or a passion for the craft, or compassion for your members. It takes all those things and more. Much more. It is difficult to find great Coaches. 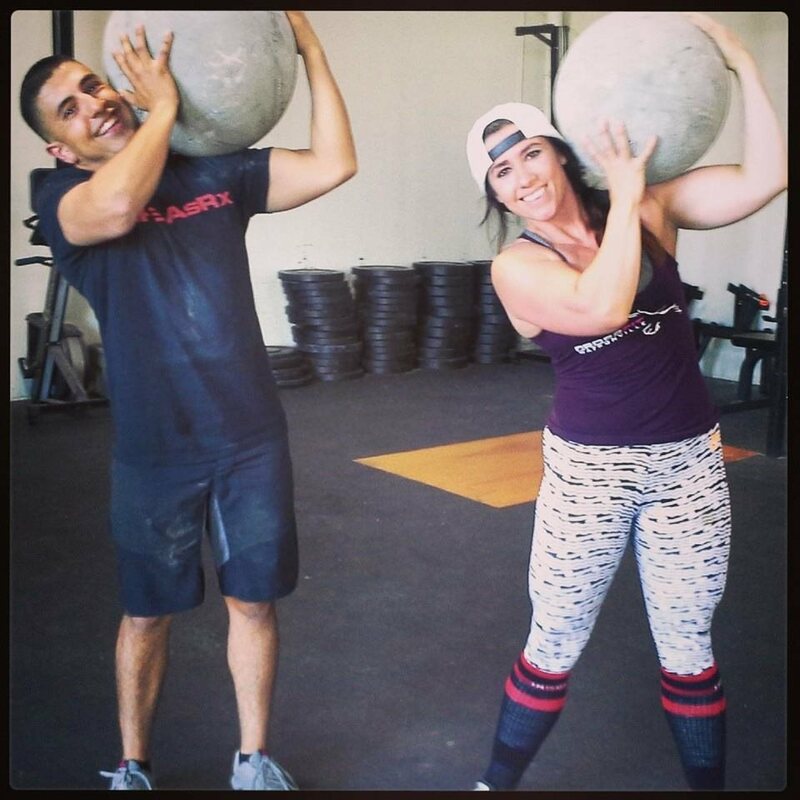 Here at CrossFit Watsonville, We also want to help people become great coaches. We will do whatever we can to make it so. We are proud to introduce you to our two interns: Rene Hernandez and Hannah Ortiz! As members of community, you want Coaches who will teach you, coach you, challenge you, respect you, understand you, appreciate you, care about you. To help in this process, we want you to get to know Rene and Hannah. Below is Rene's essay as to why he wanted this intern opportunity. Next Monday I'll share with you Hannah's essay. "My name is Rene Hernandez I’m 25 years old and have been playing sports ever since I could remember. Started off with soccer, and once i went to high school I played football, baseball. Sports has always been a part of my life and still continue to play pick up games with my friends. I found crossfit in 2009 when my brother invited me to a little competition in a ranch in aromas. At the time I didn't know much about crossfit or how much it would change me. When I showed up for the games to spectate, I was immediately hooked. It wasn't the workouts, but the community experience. I loved how everyone was extremely welcoming to their tents and how much passion was going into the people that were competing. No one was cheering for anyone to lose like you see in other sports. I would like to intern at crossfit Watsonville for many reasons, one being is its the gym in watsonville where I began. I have a certain love for the place being there since the beginning and the very first class. Also, the members themselves are amazing. Being gone for a few months and coming back I immediately felt like i never left, it felt like home. The other main reason I want to intern at crossfit Watsonville is to have the opportunity to learn from the coaches and especially the “OG” Jason. To be able to learn from one of the people who learned from coach himself, has been coaching and doing crossfit for so long would be amazing. I would love to learn as much as possible from him and the coaches because it will not only make me a better coach but a better person. My desire to coach comes from the desire to help people. I have been coaching before for about 6 months and i have loved every moment of it. To me there is nothing like seeing that spark in the person you are coaching when something clicks or when they do something they couldn't do, even if its as simple as going from a 16inch box jump to 20inches. To them themselves this is some huge thing and i love helping people conquer and do things they didn't think they could do. I will also like to build a great community here in Watsonville, since I was born and raised here. To me Watsonville is full of growth and great people who always want to help each other."